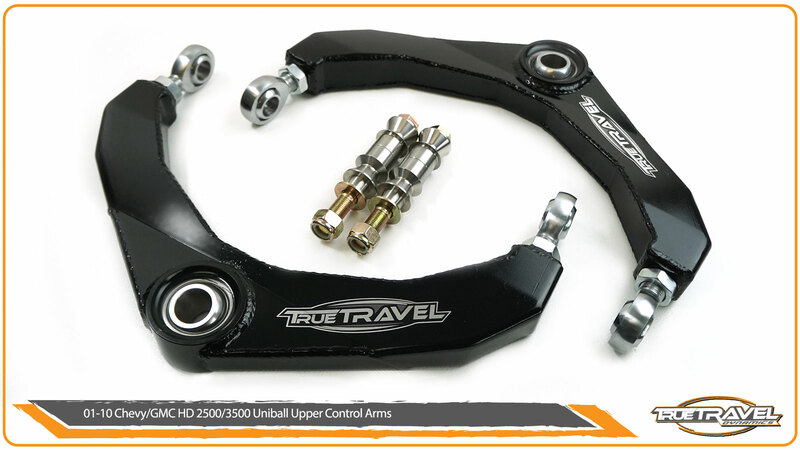 The True Travel Dynamics uniball upper control arms were designed to add strength and help correct the geometry when used on lifted GM HD trucks. 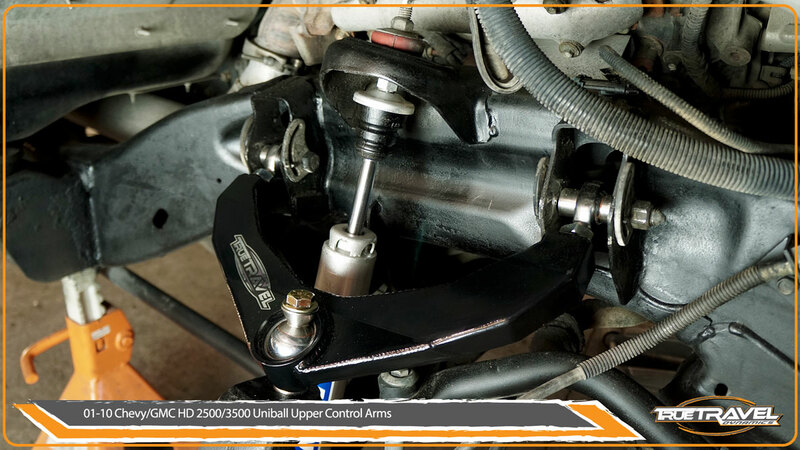 We use 1″ uniballs to replace the factory ball joints for added strength and articulation. 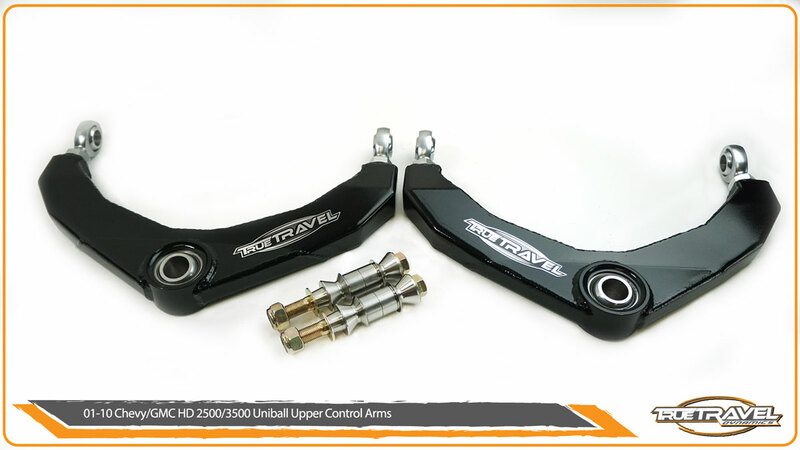 The inner pivots use 3/4″ heim joints and stainless steel spacers. With these upper arms you also get custom stainless steel tapered misalignment spacers to adapt to the factory spindle. All the parts on the arms are replaceable or rebuild-able so they will last you a very long time.